My card was created out of necessity. I needed a baby card, and I needed it yesterday, you know? So I threw together a little something that fit the bill quite nicely and took less than ten minutes to make! Make card base for a 4.25” x 5.5” card from white cardstock; round the bottom corners. Stamp feet on white cardstock and cut into square. 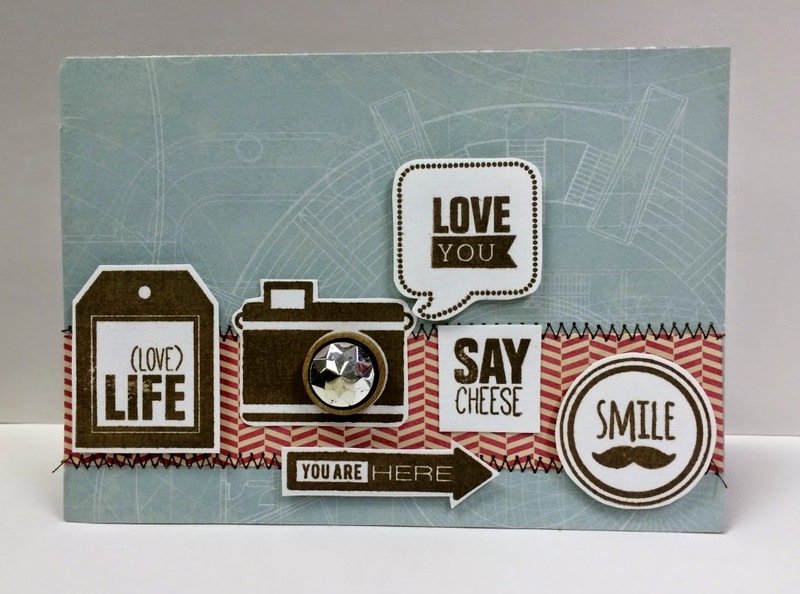 Die cut a scalloped square, layer with stamped square, and adhere to card with foam dimensional tape. How's that for fast? Keep this one up your sleeve for emergencies! 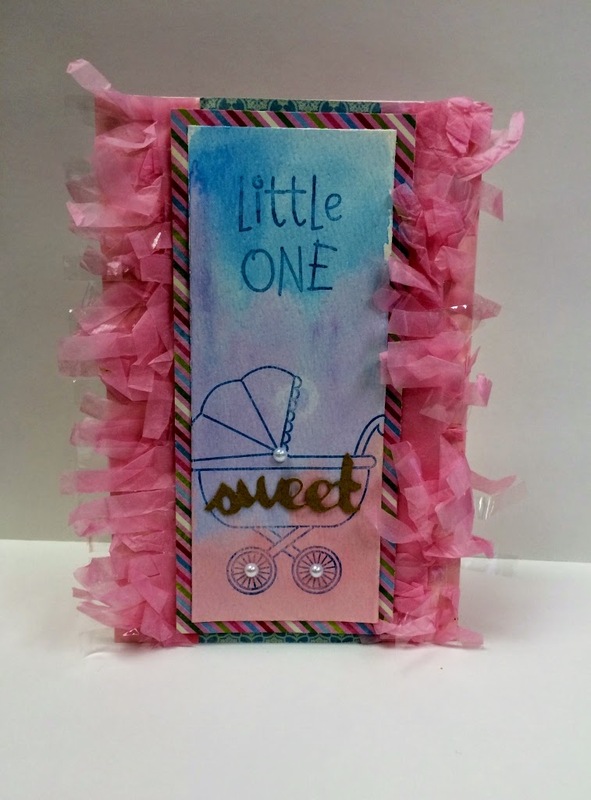 A sweet baby card is on the docket for today, made with a brand new Hampton Art stamp set and some Jillibean Soup paper and fringe garland. This card began with watercolor paper and paints using three colors I made a wash. Then set aside for it to dry. Next I stamped the sentiment and baby carriage stamp in blue ink onto the watercolor paper and matted onto the striped paper. Then from new kraft tag I cut out the “sweet” message and adhered to carriage. Then I added three pearls and some brand new Cotton Candy fringe garland was the perfect finishing touch. Now you are ready for that next baby girl shower or toddler birthday party. Welcome back to the Hampton Art blog. 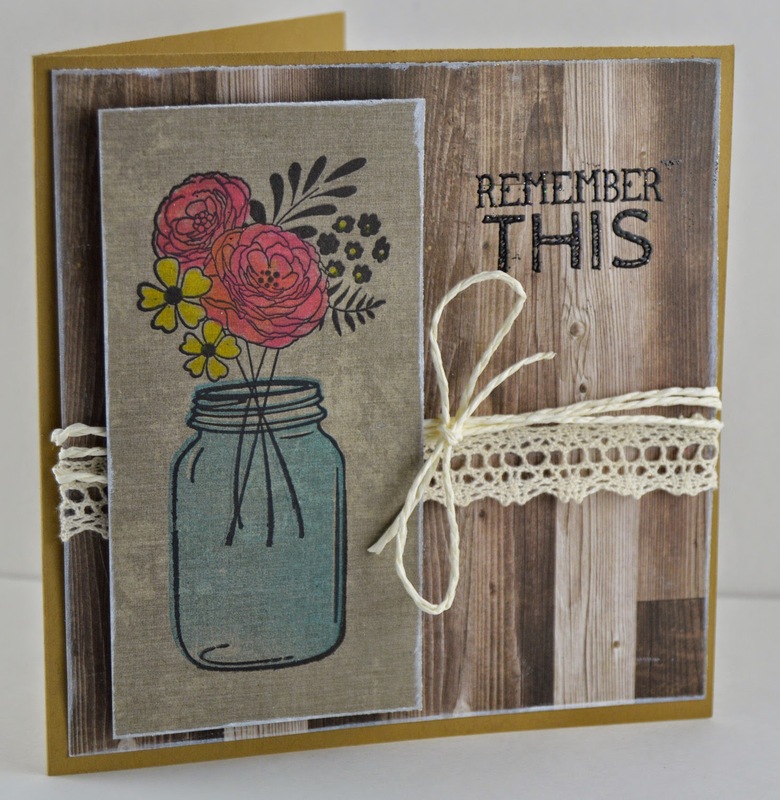 Today designer Gini Williams Cagle shares with us a sweet card featuring the new Hampton Art Mason Jar Florals stamp set. 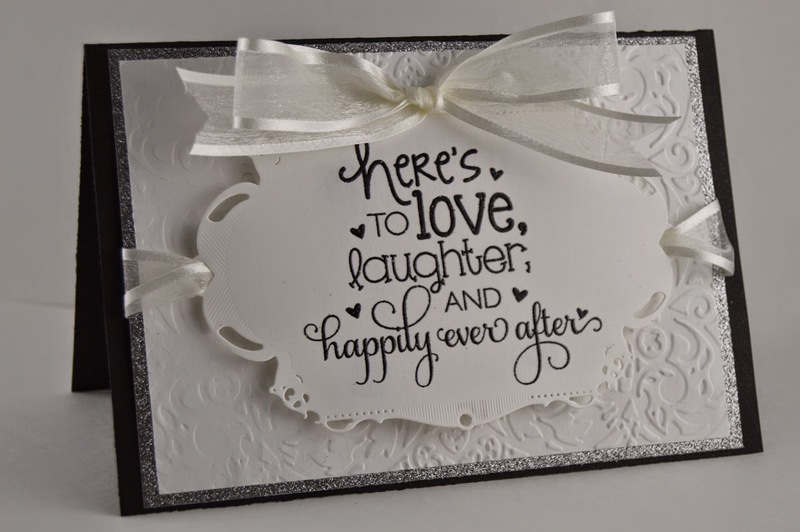 Beautiful wedding card for you today by designer Gini Williams Cagle. Greetings and welcome back to the Hampton Art Blog! Celebrate Birthday (SC0682) and Oh Baby (SC0685) - by Hampton Art! 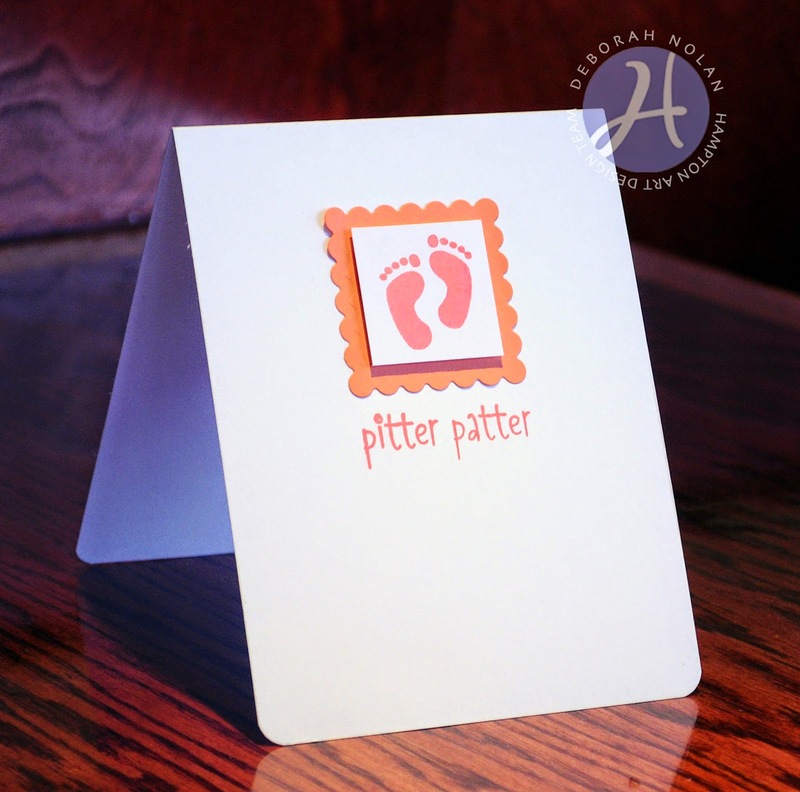 Make card base for a 4.25” x 5.5” card from white cardstock. Cut 3.75” x 5” pattened paper panel and 4” x 5.25” black cardstock panel; adhere patterned paper to cardstock. Die cut circle from bottom right corner of matted patterned paper and hold in place on card while lightly tracing the cirular opening on the card front. 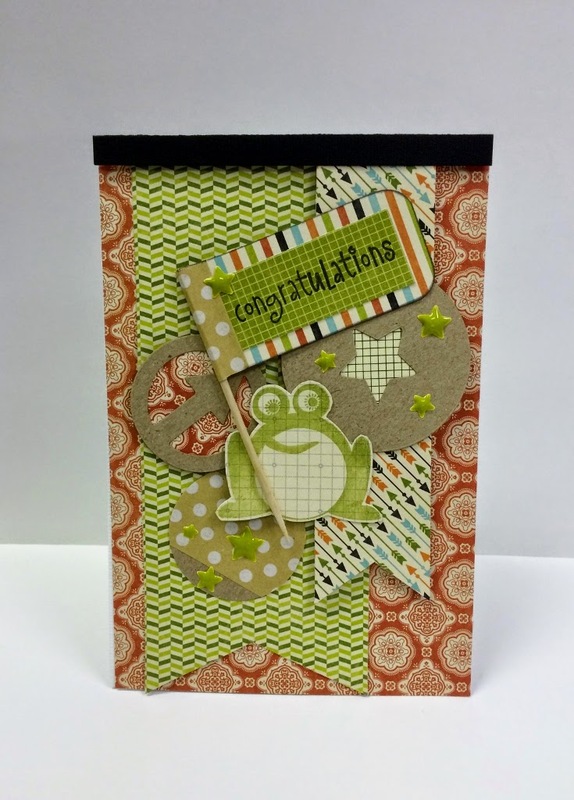 Stamp frog and sentiments with green ink on card front within the traced circle. 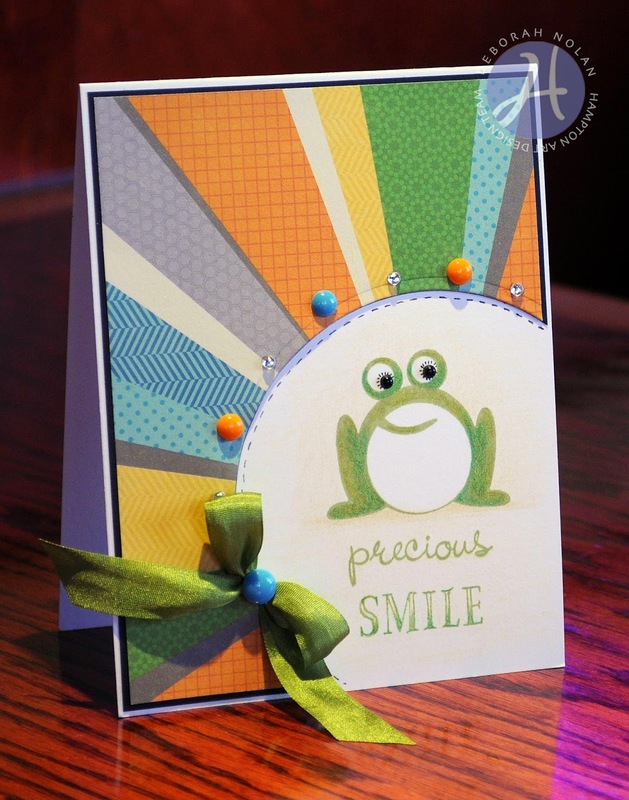 Use colored pencil to enhance letters, create shading, and add dimension to frog. Erase the pencil tracing marks. Go over the lines in the frog's eyes with fine-tip pen. Tie bow around matted patterned paper panel and adhere panel to card. Adhere dots and gems to outer circle and frog's eyes. Draw a stitched line inside the circle. Take advantage of patterned paper arranged in geometrical shapes. The paper here is perfect for spotlighting a focal point. Here is a bright and cheerful card, a fast forward to Spring perhaps? Even though it is cloudy and snowing I can imagine brighter days’ worth celebrating and I am certain you can too! Here is a quick and simple celebration card using a brand new Hampton Art stamp set and Jillibean Soup papers and accents. 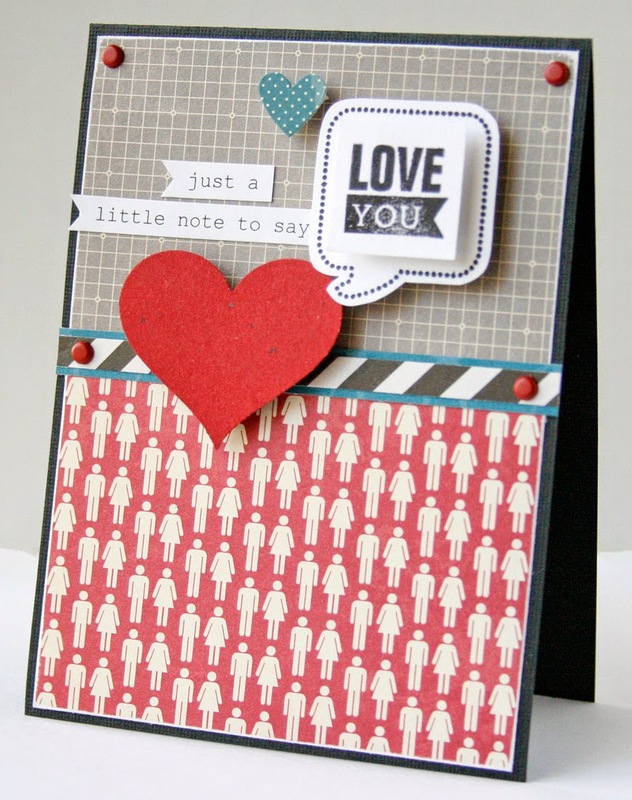 Beginning with a plain white card base adds two striped border strips down the sides. Then add the center mat in the bright green also from Cool as Cucumber collection of Jillibean Soup. Then add a white doily in flower shape with 3D pop up dots after backing it with an orange pattern paper from the above mentioned collection. Next stamp the flower and sentiment in blue ink onto plain white cardstock and fussy cut out. 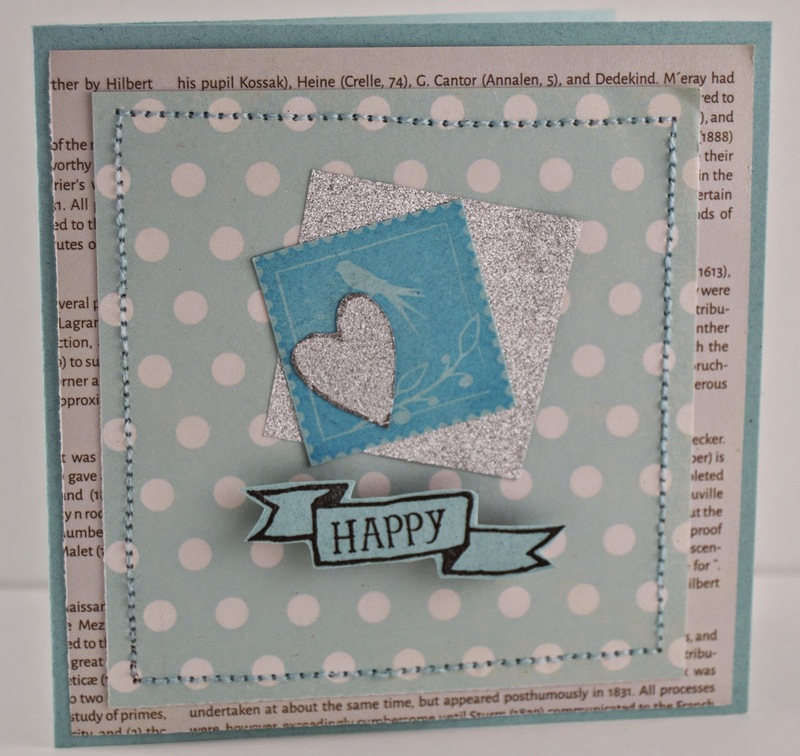 Adhere to card as shown with more 3D foam dots and finish with a silver gem center. This celebration card is suitable for all types of celebrating: promotion, Birthday, Anniversary, Wedding, even an Engagement. Exactly the type of versatile card I like to have on hand daily. 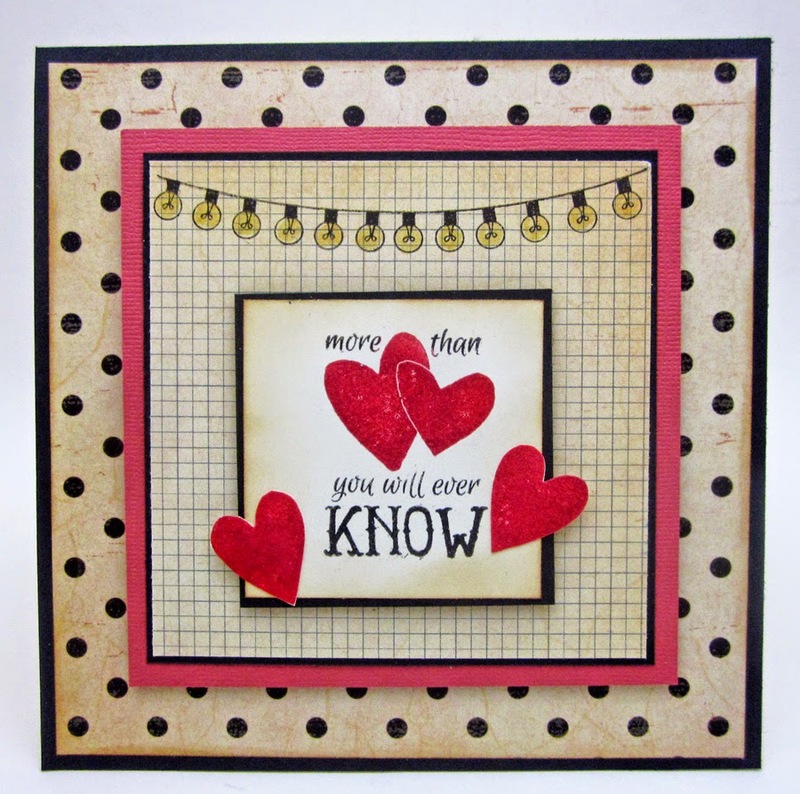 Designer Gini Williams Cagle shares with us a simple and sweet card using the new Hampton Art stamps from CHA Winter. Hey, there, stamp fans! Welcome to the Hampton Art Blog! Cut 3.75” x 5” white cardstock panel and 4” x 5.25” dark blue cardstock panel; layer and adhere to card. Cut 1"-wide strips of patterned paper, cut banner ends at bottoms, and adhere to card on a diagonal. Stamp sentiment portion of the image on white card stock and die cut circle so the sentiment fits across the bottom. 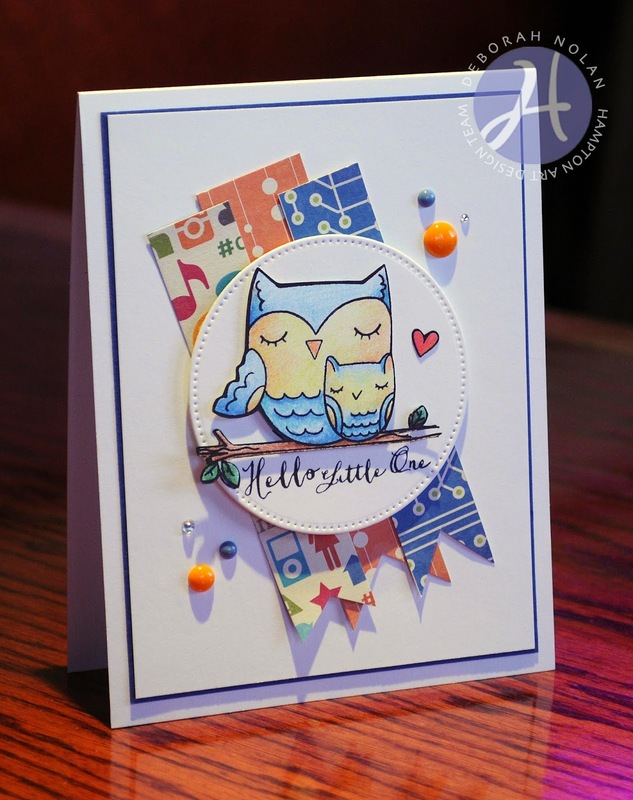 Stamp the image on white cardstock; color with pencils and fussy cut owls, branch and heart. Adhere owls, branch, and heart to die-cut circle with foam dimensional tape. 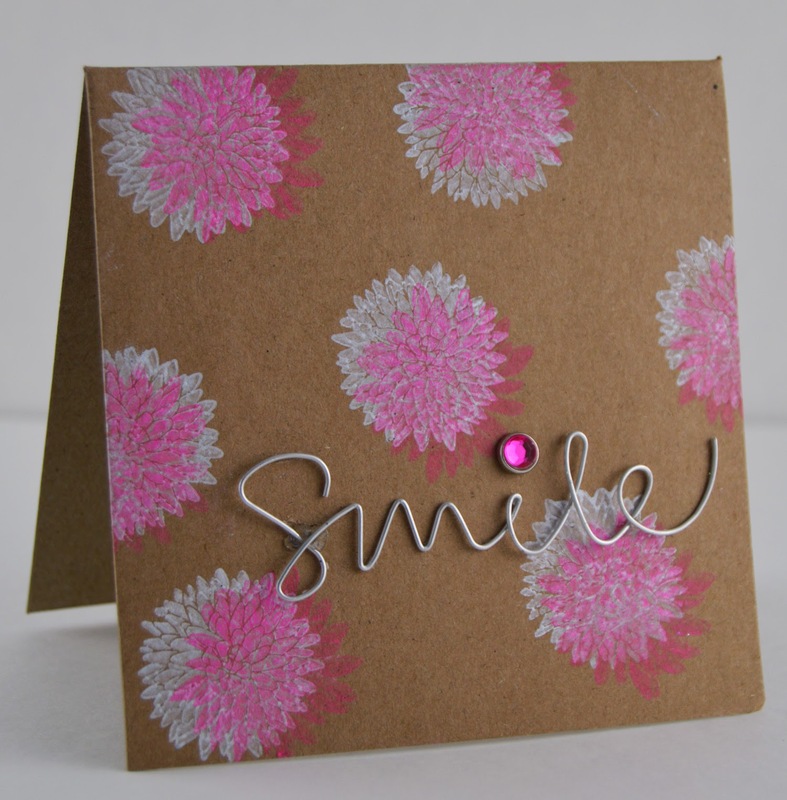 Adhere die-cut circle to card with foam dimensional tape. Valentine's Day is quickly approaching. Designer Gretchen McElveen, creates a sweet card for anyone on your list. Today we have another card by designer Lori Williams featuring some of the new stamps that will be shipping around the end of February. Welcome back to the Hampton Art blog! 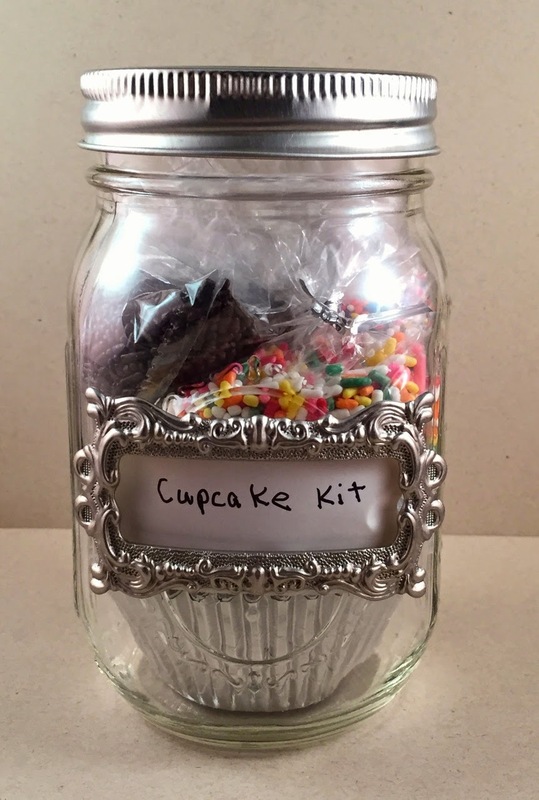 Did you know Hampton Art and Vintologie have Jar Jewelry to dress up your Mason Jars? 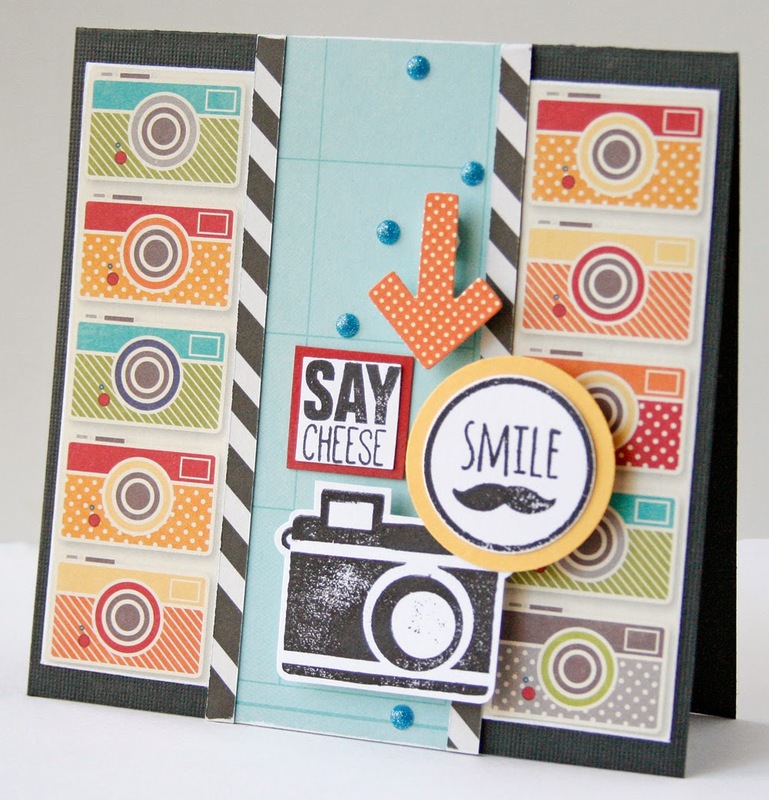 This card has a lot to say, thanks to the new stamp collection- Say Cheese from Hampton Art. Then add in some papers from Jilibean Soup/Soup Staples III collection and it makes the perfect statement. The base of the card was created with the Blueprint paper and the Record Your Numbers paper provided the border strip. Next I used the sewing machine and some brown thread to add a little texture. Then I stamped all of the sentiments shown in brown ink onto white cardstock. Then fussy cut them out as you see and added them with adhesive to the card, the tag, word bubble, arrow and smile were added with foam dots. The final touch was a silver wood sprinkle for the camera, and finished! Are you ready to stamp a statement? 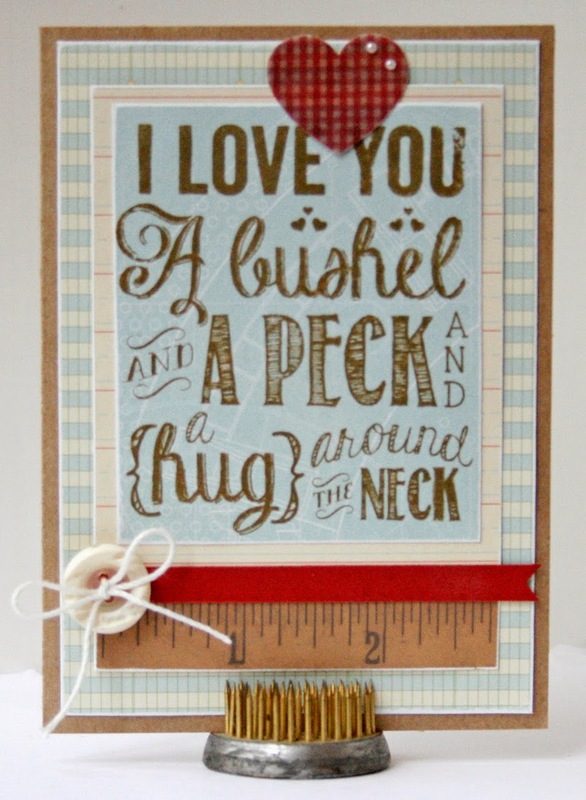 This card would work for several different occasions and is sure to bring a smile to all of them. My card today features some stamps from two of Hampton Art's latest clear sets - Celebrate Birthday (SC0682) and Oh Baby (SC0685)! Make card base for a 4” x 4” card from white cardstock. Cut 3” x 4” white cardstock panel and 4” x 4” patterned paper panel; layer and adhere to card. Stamp balloons and sentiment on white panel. Draw circles and zigzags on balloons, then color balloons and banner with pencils. Draw stitched lines and "shadows" to left of "Happy" with blue marker. Adhere enamel heart and gems. When you have an open stamped space - like a balloon - you don't have to leave it blank. Draw some designs on it (I drew circles and zigzags) and then color the space. 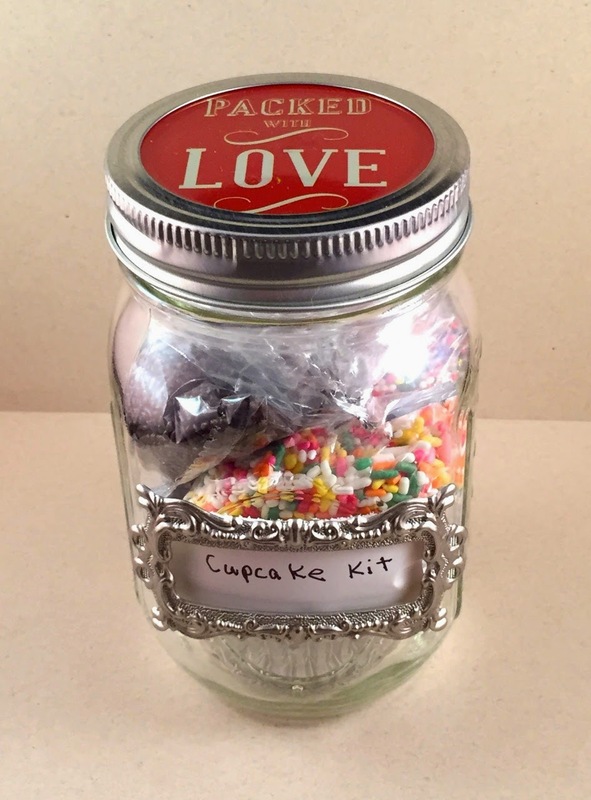 It's a great way to add a lot of variety to your stamps! Hello, and thank you for dropping by the Hampton Art Blog! Celebrate Birthday (SC0682) and Oh Baby (SC0685)! Cut 3.75” x 5” white cardstock panel and 4” x 5.25” raspberry cardstock panel; layer and adhere to card. 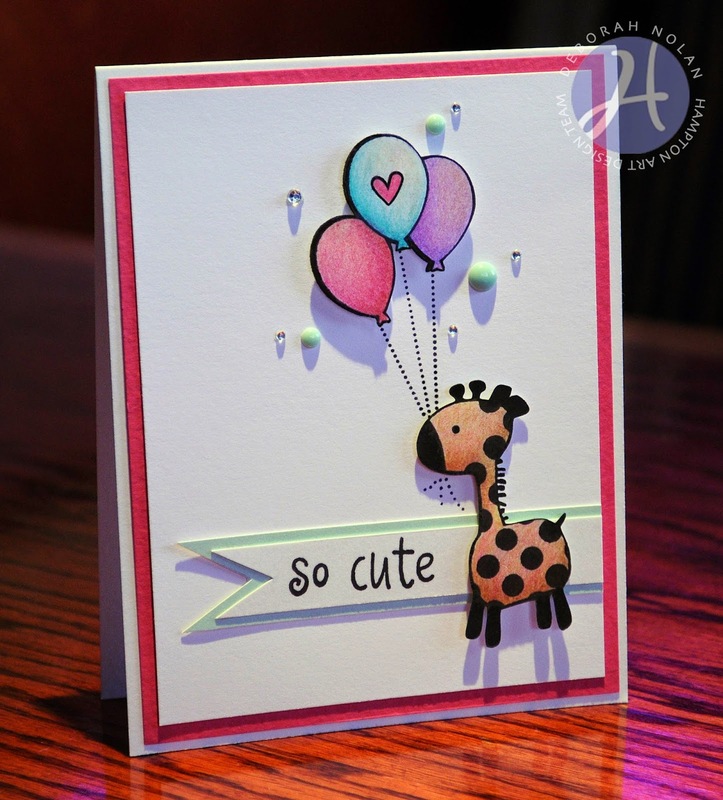 Stamp balloons, heart, and giraffe on white cardstock; color with pencils and fussy cut. 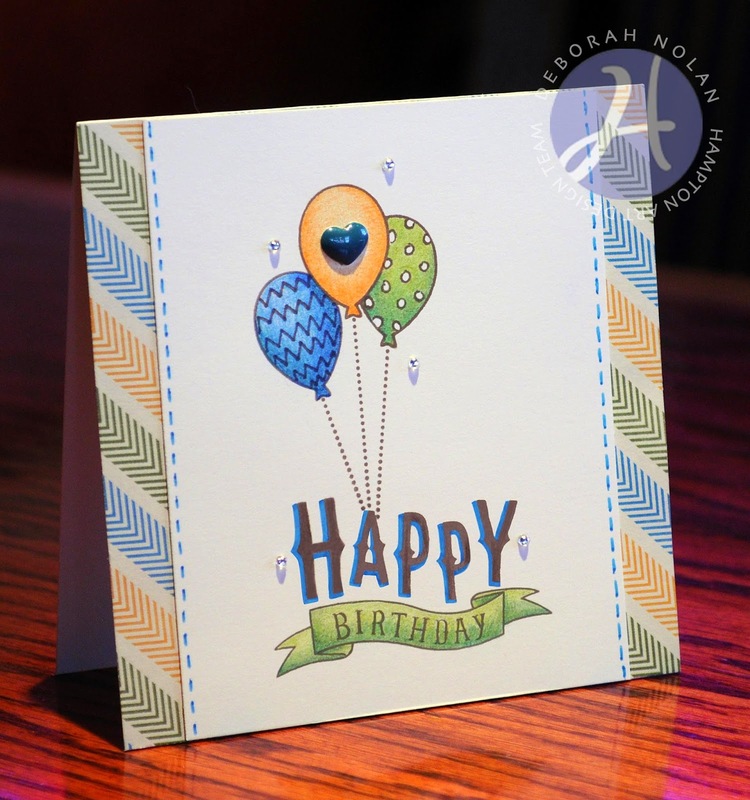 Stamp balloon image on card's white panel and adhere fussy-cut balloons over it with foam dimensional tape. 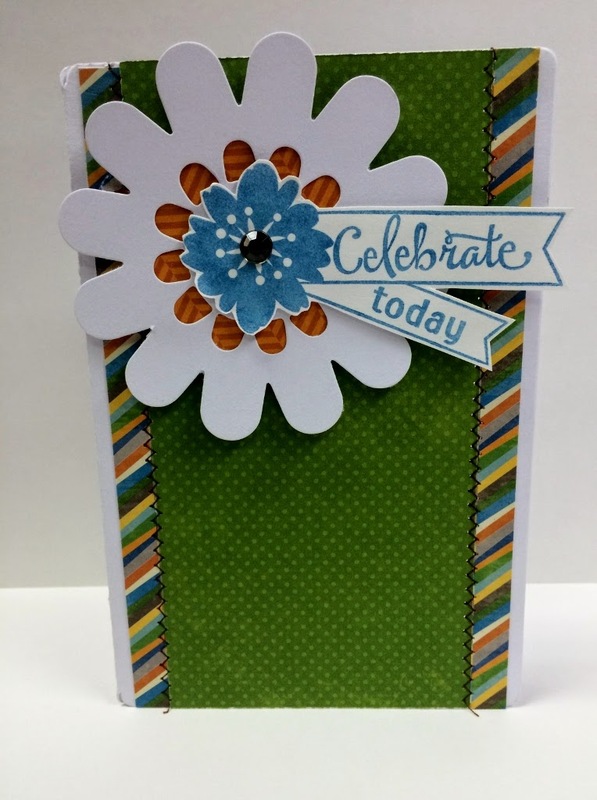 Cut white and mint banners from cardstock, layer, stamp sentiment, and adhere to card. Create dot lines (to lengthen the strings of the balloons) with fine-point pen. Adhere giraffe to card with foam dimensional tape. 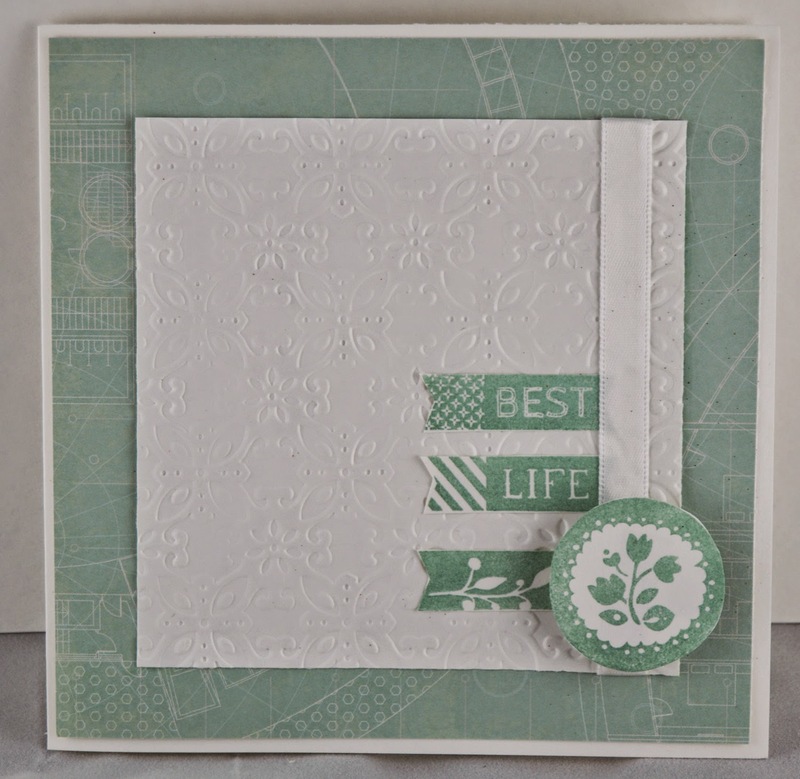 Today we have a sweet and simple card created by designer Gini Williams Cagle featuring our new stamps. Who says that a stamp set designed for babies can’t get some extra mileage? 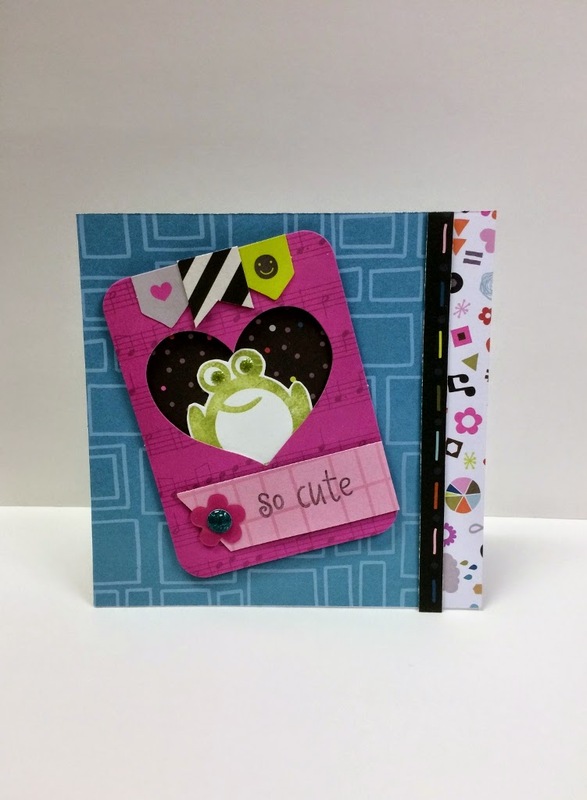 The frog stamp in this brand new Hampton Art/Oh Baby stamp set is irresistible. I love to find extra uses for my sets to expand their versatility, so here are two cards done very differently, but neither is a baby theme. A fun and colorful card suitable for a young to pre-teen girl and the other a Congratulations card for any age. This card goes together quickly with the KI Memories Playlist collection cut-outs and papers. The base is made of the retro teal paper with the edge left on along the right side. Next I cut a ¼” border strip of the black line paper and added with 3D pop up dots. Then I stamped the frog in green ink onto plain white cardstock and fussy cut out. Using foam dots I layered the frog and black confetti dot paper onto the heart cutout as shown. 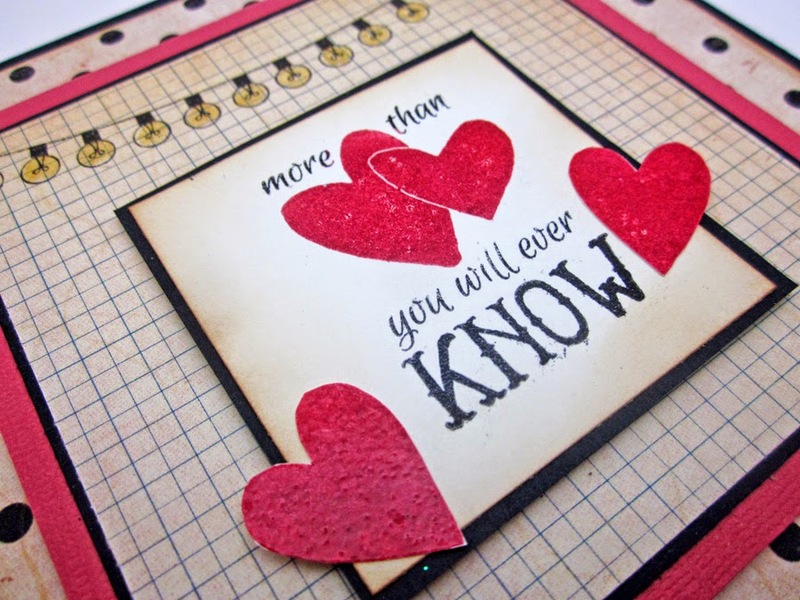 The sentiment was stamped in charcoal ink onto the pink pattern paper and cut with one end angled. Last to add some pizazz I added the three mini banners at the top in coordinating papers and then green glitter dots for eyes and a flower sequin with a blue glitter dot center. The second frog card has double versatility, why? The papers were from Jillibean Bean Soup/Witches Brew -a Halloween collection! As you can see they work just fine for an everyday card. The base was made with the orange retro print and the two large banners cut from coordinating 6x6 paper pad. Place as shown and add some of the brand new Soup Staples III Sides kraft circle tags. I stamped the sentiment onto one of the pea pod diecuts in black ink. The frog was stamped onto a grid pattern cream paper in green ink. Then I dressed up the circle tags with some of the new kraft tape and enamel stars. Then I created the flag by adding a toothpick to two papers and attaching with the kraft tape. There you have two frogs served up in two completely different styles using a baby theme stamp set. Super fun right? Hop on off to your craft room and work some magic with your stamp sets today!